You are currently browsing the daily archive for December 20, 2010. 5 more nights till the big guy comes! I have to admit.. I’m not really the holiday type of girl! Yes. I love all the beautiful colors this time of the year, between colorful gift wrap and all the christmas decorations.. most of the time there isn’t an inch untouched. 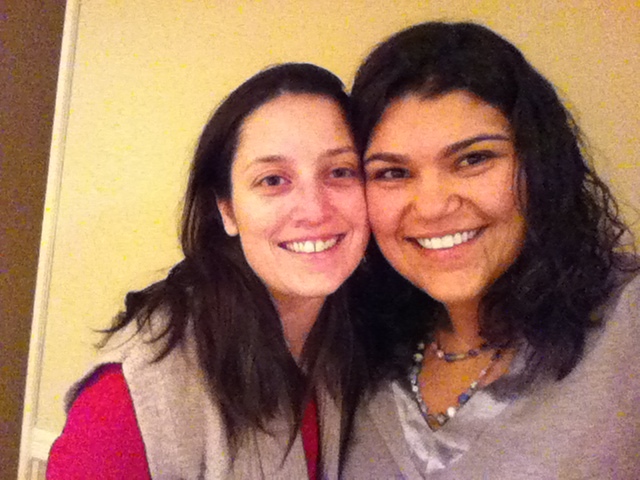 I love getting together with friends. I love cookie baking marathons. I love hanging with the family! I don’t love the Christmas debt, the long lines, the stubbornness of some to get the ‘perfect’ gift, the rudeness people posses (which happens to come out bright and clear during the holidays!) and the Christmas drinking and eating. I’m one who lacks self-control. If there is something in front of me. I WILL be eating it! Therefore, I like to try to control my enviroment, however that proves to be very difficult this time of year! I also don’t like the frenzy and the drive to have everything done by the deadline… DECEMBER 25th. We have enough deadlines in our lives.. why create one more? What about the rest of the year? I think we have lost the true meaning of Christmas. With that being stated.. I will be climbing down from the high horse and getting back to reality. When gets done by the 25th.. gets done! What doesn’t get done.. will wait! Ahh. Feels good to write that loud and clear! Just a few photos from the last few days! 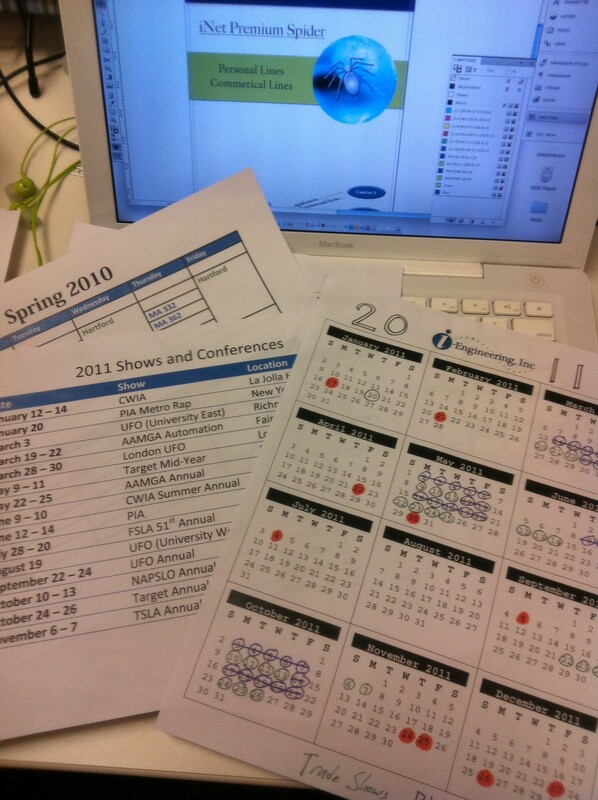 Planning for the 2011 Trade Shows… now where, o where will we end up? NY, VA, AZ, TN.. LONDON… Who knows?!?! Remi and Shay! ❤ This past weekend Remi and I headed down to NJ to visit Dan, Sam and Shay! 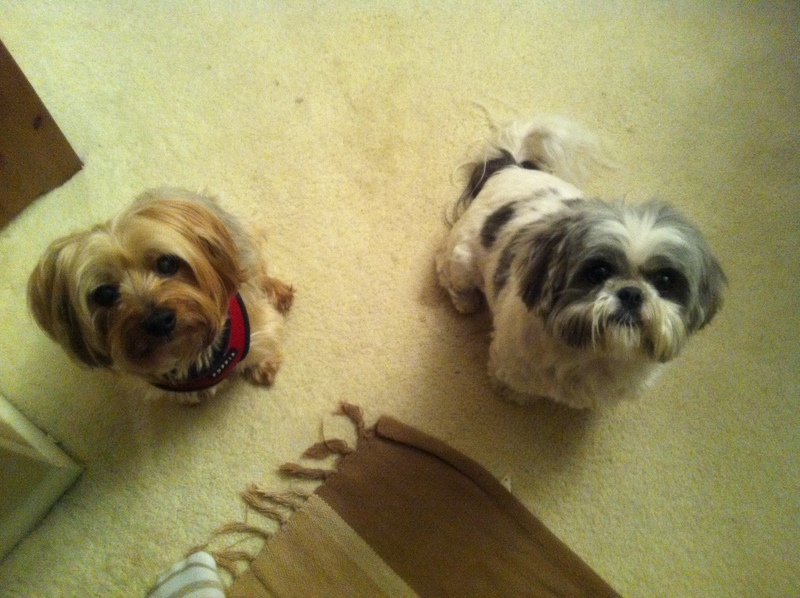 And yes.. they are patiently waiting for a treat! 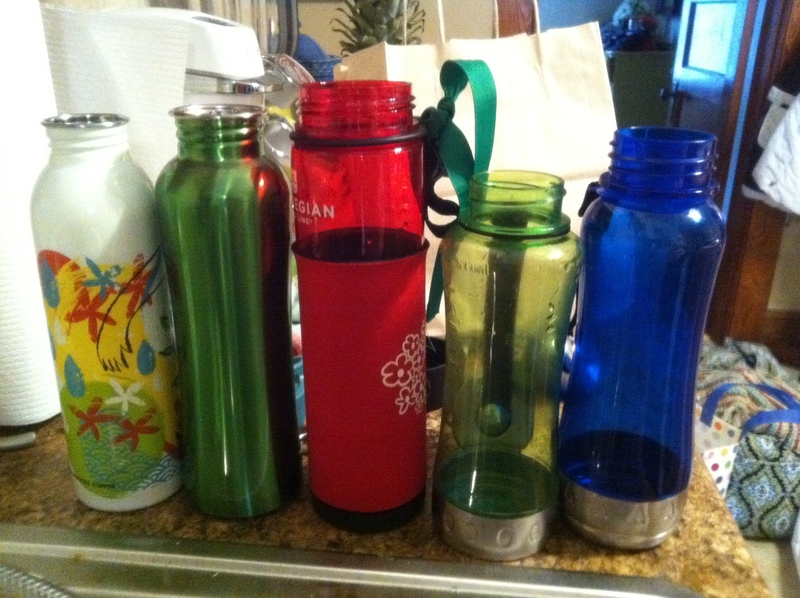 I finally cleaned my car out and found all these water bottles! A) I drink a lot of water during the week B) They have been there for months C) Both A and B D) Regardless of where the water bottles are.. I MUST start drinking more! I’m going with a D on this one! I love this poster! 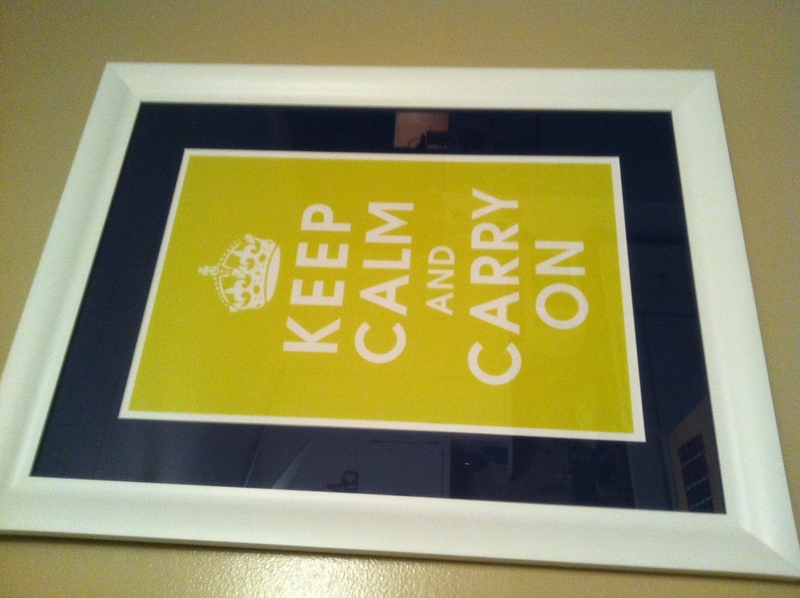 Just hung it up last night, but every time I walk by I feel a calm sense come over me. Call me crazy! 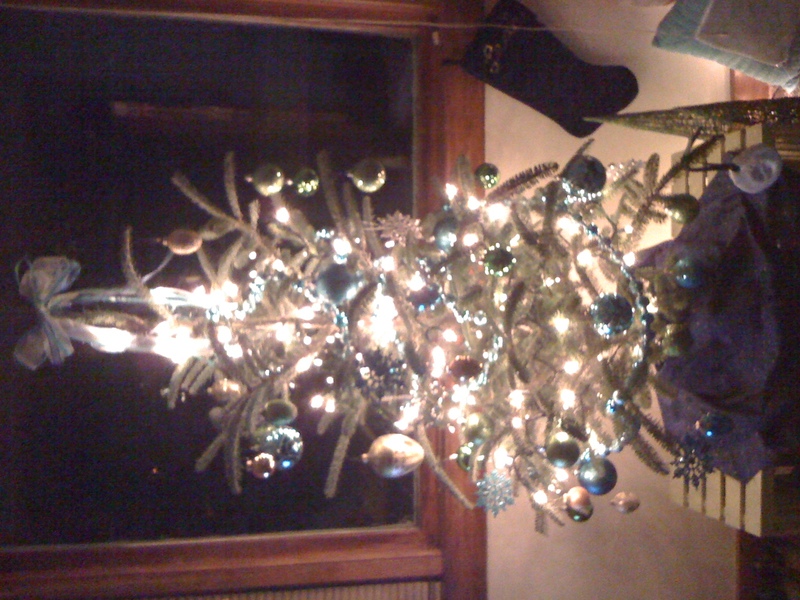 And my down-sized Christmas Tree this year! Fits me perfectly!